What an excellent book! I loved the counsel on all kinds of topics that effect us in our lives in this day. It is wonderful to know that our prophets and leaders receive revelation for us! That they are also people, who experience trials and experience just as we are. That they can use the knowledge gained from their experiences to help instruct us. Just a great uplifting book! This book is an excellent source for teens and their teachers or parents. This book is directed towards the youth but applies to all age groups. It is divided into several chapters. 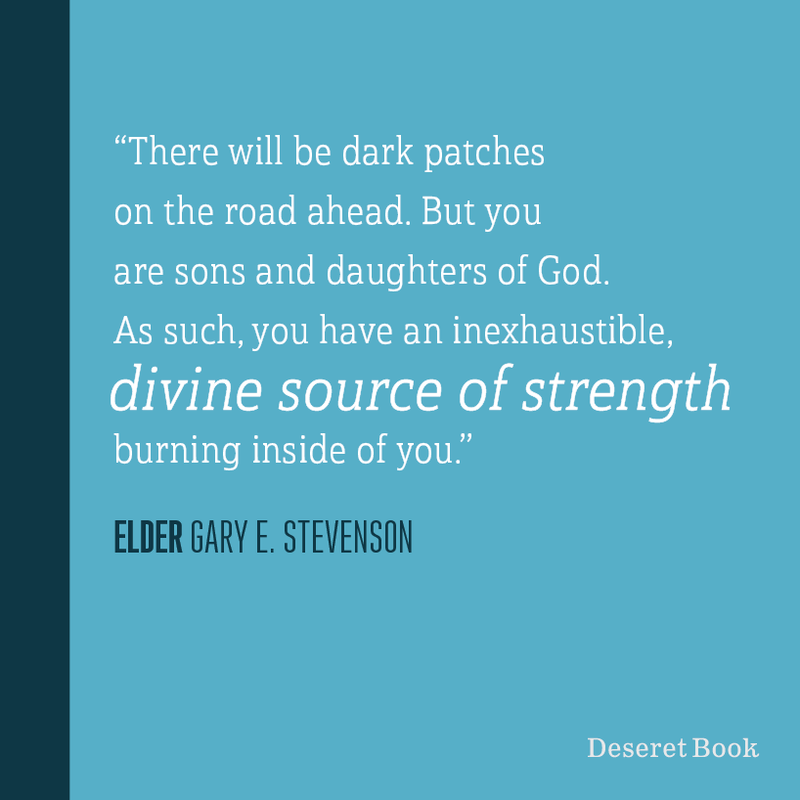 Each chapter covers one topic and it has a variety of short talks and quotes from the members of first presidency and the twelve. You can either read the book all the way through or just study a chapter at a time. Great book and proceeds go to the missionary fund. I would recommend it! It was smaller than I expected, but I love the soft cover and it is an easy carry-around size. I love the length of the counsels - only a few paragraphs long. I also enjoy the quotes included at the start and in the middle of every chapter. The best part for me is the fact these counsels come from young adult addresses - so many of them are unheard of by the general public. I recommend it to every member and anyone seeking guidance and inspiration in their lives. To preface this review, I am the type of person that when I see a "meme" or read a "soundbite" quote, or even hear a verse of scripture quoted, I try to find the entire talk or chapter of scripture to go back and put the quote in context. Who was the audience? What was the circumstance surrounding this talk? As a result, this book has taken me quite awhile to read...and I don't think I'm finished yet! To read this book as a collection of insights and encouragement (extended "memes", if you will) from our dear leaders on a variety of subjects, is a great experience. To use it as a springboard for more in depth study has been a delight! Either approach will edify those who are honestly seeking truth to strengthen personal testimony and find comfort in the fact that the Brethren are very aware of the challenges facing each of us - youth and not-so-youth alike - every day. Living in the challenging and disruptive times of this mortal world can feel very difficult to handle. 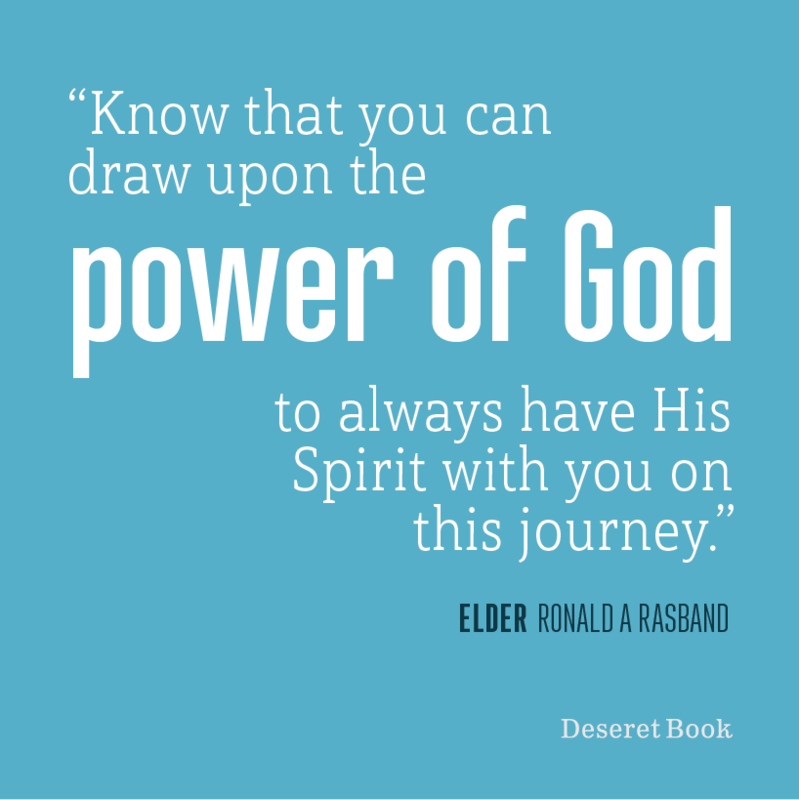 That is why this book is very important in serving as a "written GPS" for encouragement and spiritual direction from the First Presidency, Apostles and General Authorities. Young adults will find guidance to handle the many trials and tests that life brings as well as inspiration for living life making right choices. Other adults will learn wisdom for making immediate course corrections, wherever they may be in life. Apply the words of this book and receive the blessings of going forward by learning from a generation of church leaders who are experienced and want you to know they are with you. Very much appreciated reading this book. Wise, and very timely, counsel for youth, young adults, their parents and leaders. Inspired words that are easy to read, remember and share. Very helpful for keeping perspective in these troubled – and troubling – times. Although the talks these quotes are taken from were originally given to young adults, the content is still applicable to everyone. The talks come from devotionals, firesides, etc that many people may not know about (I didn’t before this book). I appreciate that the content has been gathered for me to read. I also love having more content from the Brethren to be able to read and reference. The thing I like most about this book is that the parts of these talks that are pertinent to the topic are included, rather than the entire talks. Sometimes it’s nice to be able to go right to the heart of your question and find your answer quickly (the names of the talks can be found online so you can seek them out in their entireties if you want them.) The book is laid out in a user-friendly way, by topic, and you can either read the book cover to cover or by topic (like a reference guide). This book is a great reference for teachers, for giving a talk, or just for your daily study. I have greatly enjoyed this compilation. 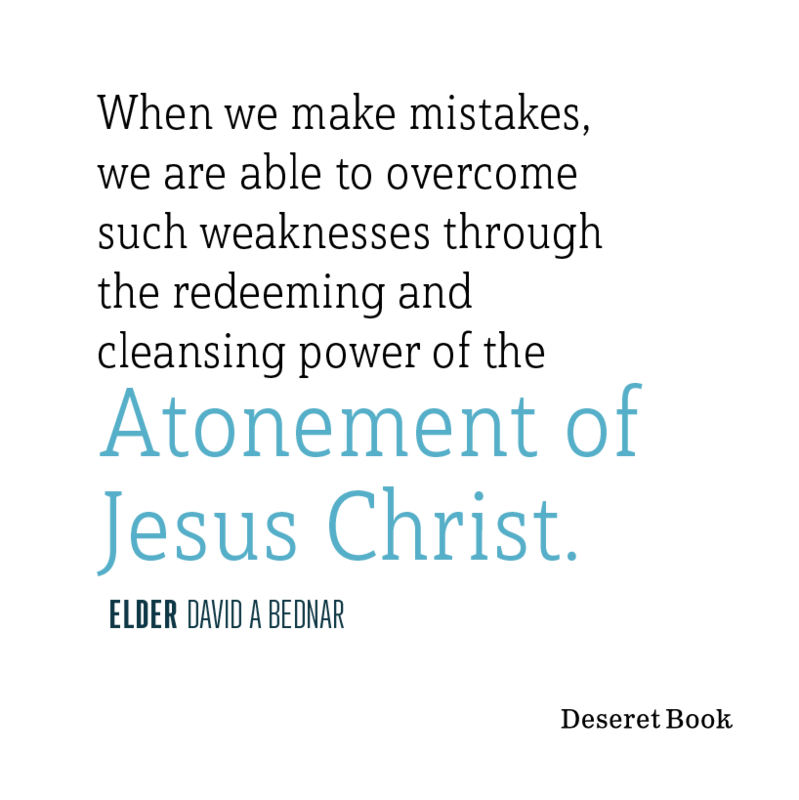 Taken from General Conference, Fireside, and Devotional talks from the First Presidency and Quorum of the Twelve Apostles, the excerpts are fairly lengthy, allowing for greater context and understanding. The excerpts are divided into the following chapters: We're with You, Recognizing Spiritual Promptings, Engaging with God's Word, Identifying and Defending Truth, The Power of the Temple, Uncovering Your Life's Work, Marriage, Service, Challenges of Your Day, Religious Freedom, Applying the Atonement, Finding Happiness, When Blessings Are Delayed, Spiritual Gifts, Building Healthy Relationships, and Keep Trying. I find the included excerpts to be very helpful, especially seeing how the topics are treated by different members of the First Presidency and Twelve, and how the discussion has evolved over time. The source citations allow for further study and context if desired. Overall I am very pleased with this compilation and will return to it again and again. The first thing I did on receiving the book was turn to the sources. Almost all the quotes come from BYU and CES devotional addresses by the current (late 2016) First Presidency and Quorum of the 12 dating from 1973 to 2016 (though mostly from more recent decades). These devotional addresses were targeted, of course, at an audience of college age young adults. So, in essence this book is a compilation of quotes by the brethren that have been categorized into topics that are of particular interest to young adults such as marriage and "your life's work". Having said all that, this isn't just a book for young adults. I have teenagers and I teach young adults. I found while reading the book many quotes that directly relate to issues and questions these young people have expressed to me. As a parent and teacher I appreciate having ready access to these quotes that I can share with others. This book is a excellent recopilatory of the principal teaching of the First Presidency and Twelve Apostles about the young single adults. In several occasion in my calling I need to advise and strengthen at theirs. In a summarized form, this book help me to found the appropriate words and ideas for to have uplifting conversations with the young single adults. With prophetic counsel the Brethrens express his love and vision about the new generations, and the challenges that our dear young people have. I dished the book very much. I have greatly enjoyed the testimonies and counsel of our prophets and apostles in this book. The information is timely and inspiring.